The Masurian Lakes are to be found in north-east Poland. This moraine landscape from the last ice age incorporates about 2700 lakes, of which Lake Spirding, with an area of some 114 sq km, is the largest. The best time for a Masurian Lakes Cruise is in the months of May to September. On a Masurian Lakes Cruise you can, for example, get to know the picturesque little fishing village of Piaski which is pristine and simply bewitching. The fantastic beaches invite the visitor to chill out. Anyone who would like to stroll around and take in the shops should, among other places, have a look at the town of Giżycko on the Jezioro Niegocin (German: Löwentinsee). If you're interested in culture you will have plenty to do on a Masurian Lakes Cruise to the village of Sztynort. Alongside a wealth of monuments from bygone ages, you can visit the former castle of the Lehndorff family. The town of Mikolajki is known as the Venice of the Masurian Lakes. Particularly arresting is the handsome yacht marina which is worth exploring. 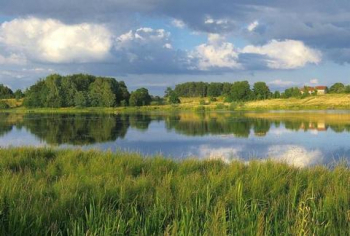 The region of the Masurian Lakes also has a lot to offer in the way of sports activities. For example there are numerous hiking paths and cycle routes which cut through impressive forest and moraine landscapes.